Boy did I need Alyssa Villarreal’s recent post last fall–I was great about setting goals, but they were too many and too big! I spent the school year spinning, working non-stop and on the verge of burnout. What followed was a summer spent recovering from my near burnout crash–with no work, no PD (I’m happy to report that I am a refreshed and ready to go teacher this fall!). 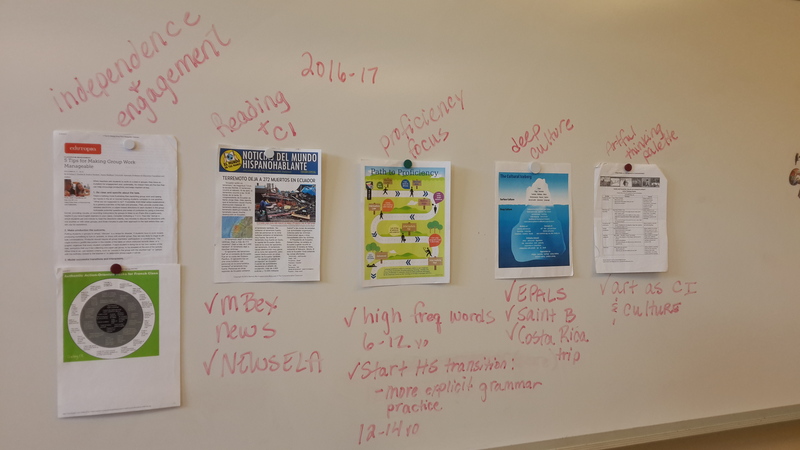 Last summer I spent a few days with Laura Terrill focused on writing curriculum–she made it clear that writing curriculum for the number of levels I teach is a multi-year process. Multi-year. Process. 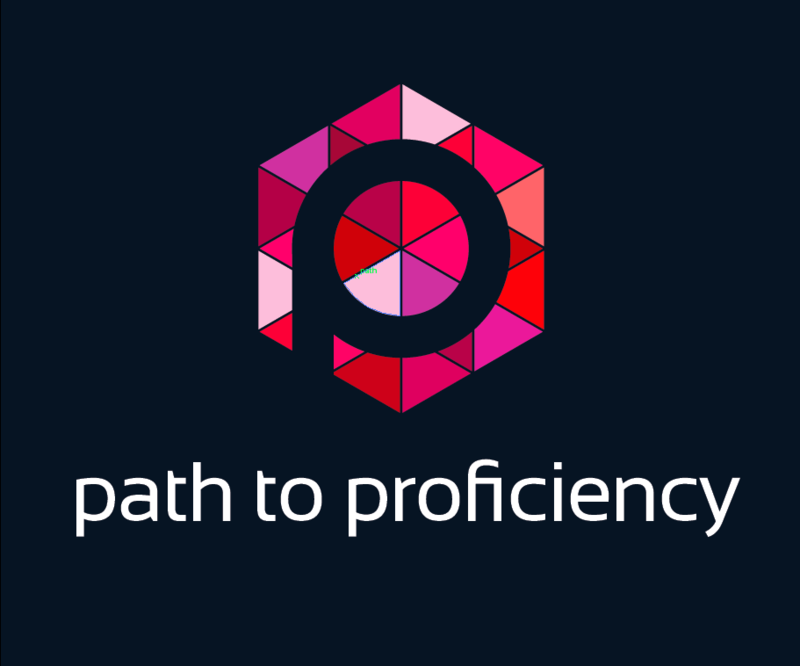 Although this was clear to her, everyone else in the room, colleagues from other programs…I was swirling in excitement about creating a proficiency focused, tailor made program after teaching in a curriculum void. This was the culmination of years of processing Helena Curtain’s work, following the cutting edge teachers on #langchat, and finally working with Laura. But my capacity did not match my enthusiasm. Once I had written a few units, I became an addict–I thought, “Well, if I write enough units for 4th-6th, why can’t I just get some new ones ready for 7th and 8th, too? Hmm, now that I’m on a roll, let’s look at 1st-3rd.” And what about technology integration and using TALK scores and those Spanish pen-pals…and…and…and. It was too much. I was trying to innovate and change too much in one school year. In the end, my students didn’t get enough of what they needed–me. A sane, present, happy me. So before I left for the summer, I created an idea board for this year–one that I could leave and revisit when it came to time for set-up. This board represents goals that are reasonable, and do not require lots of innovation for me–simpIy a path on which to focus. I continue to reference it–so that I stay focused and don’t lose my way when I start back in with attending conferences and participating in #langchat—all great resources, but as a innovation addict, can become overwhelming, if I don’t check myself. The papers are inspiration from a variety of resources including TELL, Edutopia,Martina Bex, Laura Terrill and Donna Clementi and of course, Pinterest. While feedback, IPAs and target language use continue to be a part of my practice, these are the areas coming into focus for me this year. I’ll report back in future blog posts–to keep me accountable–on how these look in class. I am taking in Alyssa’s advice–I will be gracious with myself, and am inspired by Colleen Hayes’s recent post on being enough. What my students are gaining is a sane, present, happy me. Love this. I hope you blog about “deep culture”. I’d love to get better at that! I love the idea board! …and get the excitement of wanting to forge ahead- students do want that passionate, happy, (somewhat) balanced teacher. Perfection, “work completed” never happens, but life- & our connections with our students must! Thank you so much for the post!